An easily Absorbed Body cream that will leave Skin optimally Hydrated, silky soft and lightly fragranced with roses. 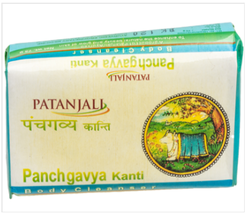 Patanjali Kanti Aloe Vera Body Cleanser Soap manufactured with aloe vera and other natural herbs. This soap is used to enhance the natural beauty and glow of skin. It protects body and skin from various diseases and makes the body pure, healthy and fresh. I just love this soap as this soap has the essence and pleasant fragrance of roses. This gets melted a little fast due to its glycerin base but is very good to use for the bathing. This soap is for 19 rupees.